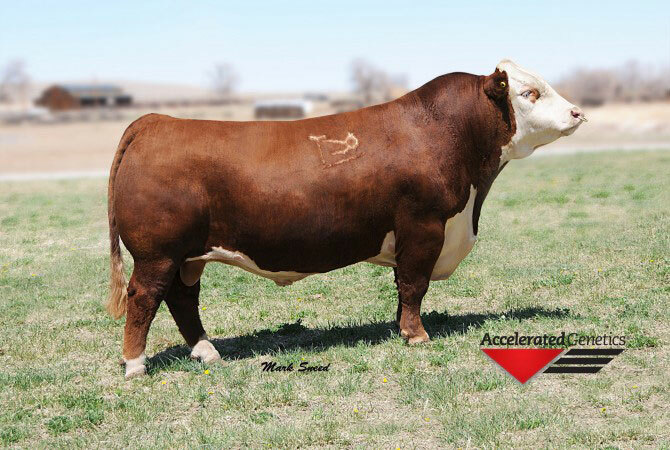 With the top pick of JO BULL CLASSIC SMITH 2008, we feel that this bull's genetic package, can, and will be the bull that all of us as Balck Hereford breeders are looking for! 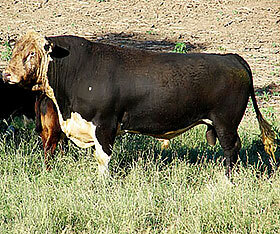 We feel that Jo Bulls are on the cutting edge of the Black Hereford breed. Iron Man was purchased in 2011 from Iron Lake Ranch in Athens, TX. 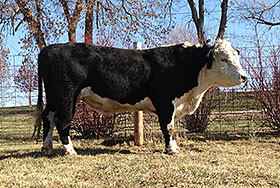 He is a deep bodied bull with traditional Hereford markings. 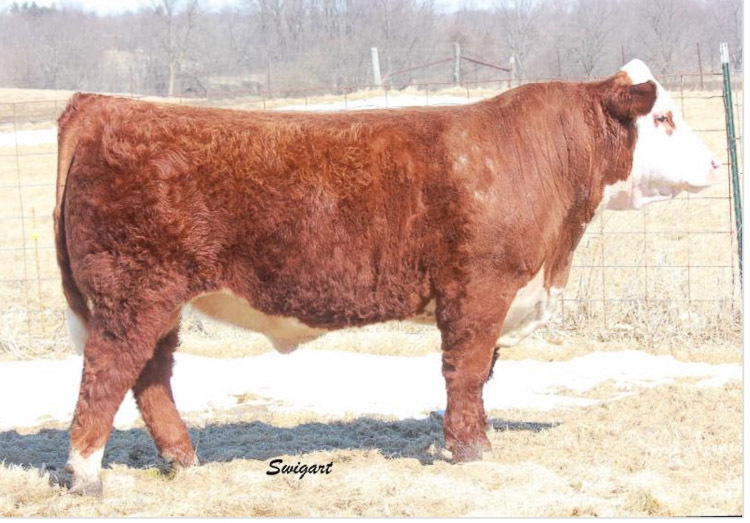 Iron Man puts a stamp of traditional Hereford markings in his calves, and desirable deep rib in the heifers being saved for replacements. JN Balder 8401 was purchased in 2009 from J & N Ranch in Leavenworth, KS. 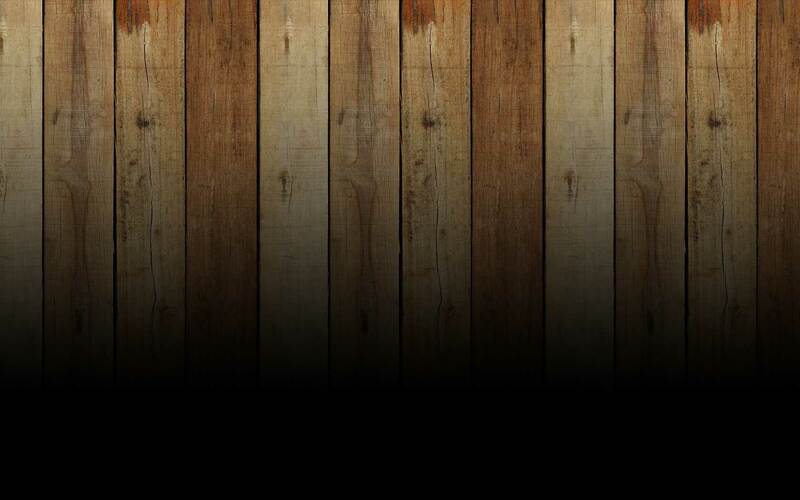 We were drawn to Black Out because of his carcass traits. He is a polled homozygous black bull with good ribeye and gain on feed. 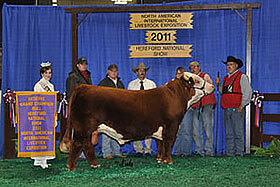 Quagmire was the Reserve Champion Bull at the 2011 NAILE. 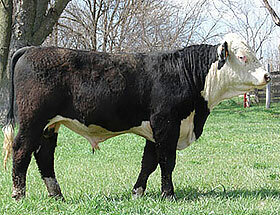 He descends from a tremendous lineage of QUALITY Championship genetics! His sire, LCC Back N Time ET, was the National Champion Bull at '08 Kansas City. 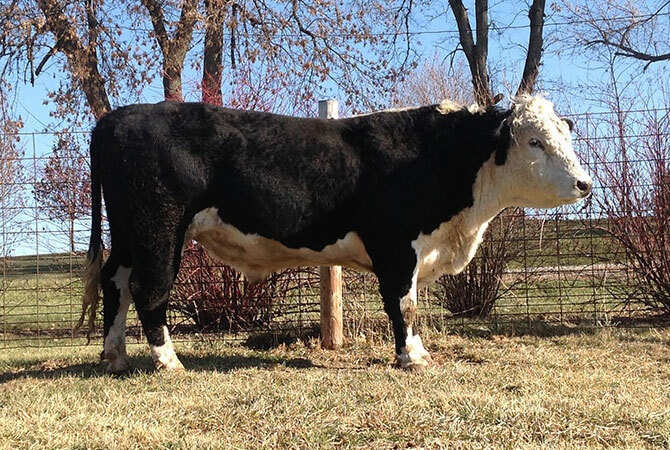 Quagmire’s dam was highly campaigned and was named Reserve Champion Female at the state show and at the IL State Fair Jr. Show & IL State Fair Open Show.